Four Guys and a Truck is an established home and office moving company with a history dating back more than 50 years. We work hard to deliver top rated service and great rates to every customer that we serve. Whether you are making a small move or a big move, we are equipped to get your move completed seamlessly by professional movers from coast to coast. We work with the largest network of professional movers in the moving industry and guarantee fast service with highly trained, experienced movers and modern, up to date equipment and moving trucks. Our moving specialists know that moving can be a very stressful time and we strive to make your move stress free and as smooth as possible. When you place your trust in Four Guys and a Truck to handle your move, you can rest assured that your move will be hassle-free and handled only by leading professionals in the moving business. If you are ready to get started with planning your next move you can simply fill out the quick quote form to the right of this page. 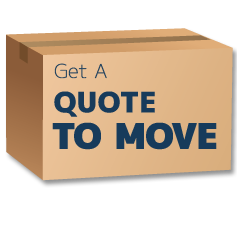 A moving specialist will contact you shortly with an affordable quote and get your move scheduled.